Working backwards from the pretty well known to the less thoroughly known and then back in time to utter darkness, here goes. I have a suspicion that my great-grandfather Thompson BROWN[E] (1837-1915) may be related to Daniel Gunn BROWNE (1808-1892) who was an uncle by marriage of Thompson BROWN’s wife, Elizabeth JACKSON. By following the trail back, I hope to either prove or disprove this notion. All help will be appreciated. Updated September 3. Added detail to Alexander BROWNE footnote. Updated May 6, 2010 -PRONI Freeholders "Kiltabana". Updated Feb 6, 2014 - new chart of 1st Ballybay baptisms. Updated Oct 16, 2014. Two photos at bottom of page. Thompson BROWN(E) was born in Ednafirkin, Co, Monaghan on February 8, 1837 (and recorded in the 1st Ballybay Church Register as “Thomas”). His parents were Samuel BROWN & Mary STEENSON. He had a brother David BROWN born 1834 and a sister born 1841 - both at Ednafirkin, Co. Monaghan. At the time of his marriage, he was living at 60 Dame Street, Dublin and working in the Wholesale & Retail Linen and Woolen Drapers, Haberdashers, Hosiers, Glovers, Lacemen, Silk Mercers trades. Marriage certificate: Here the address of Thompson BROWN is given as 60 Dame Street, City of Dublin, Parish of St. Andrews and his father's name is given as Samuel BROWN (Gentleman). Thompson's profession was also given as "Merchant". This ties in with other information: Thom's Directory of Dublin, 1868 shows Brown of Wholesale & Retail Linen and Woolen Drapers, Haberdashers, Hosiers, Glovers, Lacemen, Silk Mercers etc. #59-61 Dame Street. This is also listed as "Brown, McConkey & Co.” (also at 1& 2 Eustace St.). The link here is strengthened by the fact that an M.McConkey was also a witness to the wedding as was Jas Oliver (who may have been representing the JACKSON side of the marriage – although there was also a James OLIVER of Ednafirkin [SOUCE: Full Circle p.43 - registry of 1st Ballybay]). Of further interest is that the officiating minister was none other than Daniel Gunn BROWN often known as BROWNE - another instance where the final"e" in BROWNE is discretionary. I wonder if the son of John is the Samuel, father of Thompson BROWN b.1837. See: 1845 will of Archibald BROWN. I do not know anything about the lineage of Thompson BROWNE’s father, Samuel BROWNE. All I have to go on is his connection to Ednafirkin, Parish of Tullycorbett, Co. Monaghan and the fact of a range of other BROWN(E) family members there make this connection seem to be worthy of study. For reasons that I do not yet fully understand, there also seems to be a strong link of these BROWNE’s to the Presbyterians of Ballybay, Co. Monaghan as well as to the Presbyterians of Creggan, Co. Armagh. Two documents that I have already posted factor into these links in ways I cannot yet nail down. The Will for Robert BROWNE (1831-1919) is at PRONI, and mentions his niece Marcella BROWNE (hence I have added her name beneath) as well as that of his grand-niece Eliza Jane RUTHERFORD. NOTE: In the 1901 and 1911 Census, Edenafirkin is under the district of Caddagh - not the Parish of Tullycorbett. NOTE: It is of interest in terms of ancestors or earlier relations that another Archibald BROWN of Ednafirkin d. 7 Nov 1810 (1st Ballybay graveyard). · Also that John BROWNE of Ednafirkin recorded births of Samuel (1801), Margaret (1804) and another Margaret (1806); I know nothing about their descendants. · Robert BROWNE had Anne (1800) Benjamin (1803) Robert ( 1806) and Flurry (1810); I know nothing about their descendants. · Samuel & Mary had Thomas (1820), James (1823) and Archibald (1825). I know nothing about their descendants. 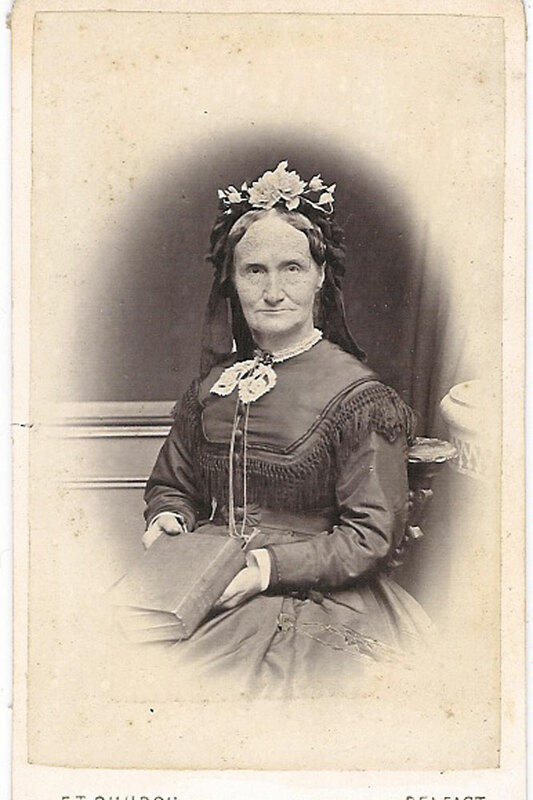 · Mary BROWN of Ednafirkin died a widow at age 66 (last name PARKE?) 8 Dec 1862. FREEHOLDERS IMP. REPORTER, An Archibald BROWNE had leases recorded in 1829 for Ednafirkin for the lives of Archibald BROWN, James McMURRAY & Jane BROWN. Also, the Rev. Joseph MARTIN has lands in Ednafirkin renewable for lives of James HAMILTON, James McMURRAY and Archibald BROWN. Also James & Isaiah HAMILTON have lands in Ednafirkin for lives of James HAMILTON, Isaiah HAMILTON and either David or Thomas McCULLAGH. In 1842, Thomas BROWN holds lease to lands in Ednafirkin in 1841. NOTE: A Wiki Tree stub shows a Jane BROWNE born abt 1790 of Edenafirkin, married Alexander HAMILTON abt 1808. She died in Ontario, Canada in 1878. I have now entered her - based on a hunch - as a sister of Archibald BROWN[E] above. ................... 3 Elizabeth BROWNE + Matthew McAuley RUTHERFORD. ........ 2 Samuel Bell Brown 1827 - . NOTE, The middle name of "Bell" is interesting. A Rev. David BELL, son of Rev. Thomas BELL of Mosside, a native of the Ballybay area, was ordained in 1839 "but resigned in 1853 partly due to the pressure from a Tory element in the congregation. He did hold strong liberal views and strenuously advocated "Tenant Right", which eventually led him to resign from the ministry. He became involved in the Fenian movement and worked earnestly for that cause in England and America, where he eventually died. He is buried in Flushing Meadow, New York." SOURCE: p. 114 "At the Ford of the Birches" James H. & Peadar Murnane. 1999. 2007 DEC 8 KEN GARDNER EMAIL: His middle name was "BELL". 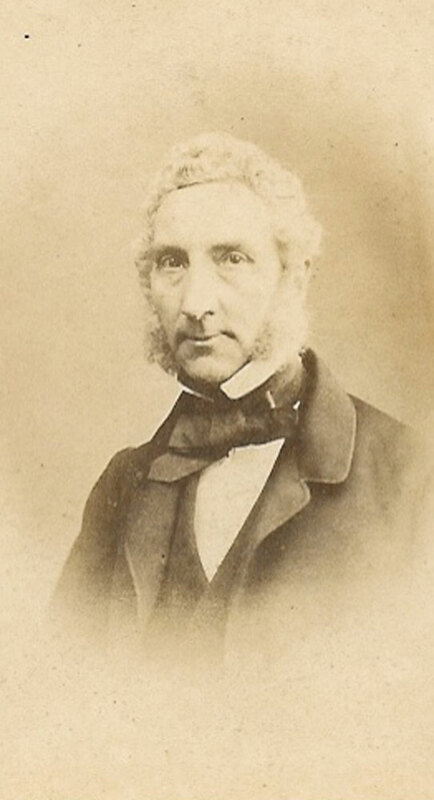 Samuel Bell BROWNE attended Belfast Royal Academy in 1847 and then graduated from a theology program at Edinburgh University in 1851. He served as a Presbyterian minister. Derryvalley records show a baptism of William BROWN son of Thomas BROWN of Ednafirkin on Feb 3, 1822. In the 1901 Census, a William BROWNE, age 79 (b 1822) is a strong possibility for this William BROWNE. He was a widowed farmer living with two unmarried children: James Reid BROWNE (age 37 in 1901 and age 49 in 1911) and Eliza Jane BROWNE (age 35 in 1901 and age 47 in 1911). I also suspect that the following deeds link into members of the family of Thompson BROWNE, but I cannot yet prove it. In 1871, Thompson Brown had a receipt for six documents related to the history of land transactions relating to Kiltybane. SEE: 1871 Dec 18 Receipt of documents. Clearly more work is needed at the Deeds registry relating to the people and dates of the documents described in this receipt. 1 day in the year of 1780 between John EASTWOOD of Castletown, Co. Louth & John BROWN of Kiltybane, Co. Armagh of the other part. Kiltybane part of Cootehill [part of Cootehill? - This makes no sense], Co. Armagh being in possession of John BROWN and William BROWN both sons of John BROWN. Rent 11s. WITNESS: Alexander PITMAN of Castletown, Co. Louth, Gent & Alexander BROWN of Cloghogh, farmer & Alexander COMBE, solicitor of Dundalk. Deed 20 August 1794 between James EASTWOOD of Castletown, Co. Louth Clerk of the one part and Alexander BROWN carpenter of the townland of Clogher and William BROWN of Kiltybane, farmer and Alexander DONALDSON of Cloghog, farmer, all in Co. Armagh of the other part. EASTWOOD demised to Alexander & William BROWN and Alexander DONALDSON all of Kiltybane then in possession of Owen CANAGHER 19 acres 1 rood 10 perches (and also another part 20 acres 1 rood) by virtue of a lease for 31 years from Nov 1, 1779 19 acres one rood – available after expiration of Owen’s tenure. WITNESS: Timothy O’BRIEN & Joseph DONALDSON of Clough, Farmer. 1802 Oct 19 Samuel BROWN of Erriro [AKA Erryroe], Parish of Muckno, Co. Monaghan. Samuel BROWN for rent of 25s 6p for 10 acres 1 rood 25 perches for the natural life of Charles Marquis CORNWALLIS & Walter STEELE son to Norman STEELE of Monalty [Monaltybane & Monaltyduff, Parish of Killanny] in Co. Monaghan. Term of 28 years. WITNESS: William MARTIN & Edward McARDLE. 1817 Mar 7 Cornelius BROWNE of Tullycollive, [Parish of Muckno], Co. Monaghan, farmer & Alexander DONALDSON of Tullyvallen, Co. Armagh of the other part. Cornelius BROWNE for £190 paid by Alexander DONALDSON ¼ part of the lands of Kiltybane conveyed to him by the late Alexander BROWN, deceased equalling 7 acres, 1 rood and 17 ½ perches during life of the said Alexander DONALDSON & Josh[?] DONALDSON son of Joseph DONALDSON of Sytrim the surviving lives in the original lease. WITNESS: John WALLACE of Boltan, Dublin City, Gent attorney of law. Said John WALLACE and Jane WALLACE of Cloghog sworn at Dundalk 24 March 1819. NOTE: Records in the Freeholders Northern Standard show that Cornelius BROWNE leased land and a house from BLAYNEY at Tullycollive worth £10/yr, and also on March 16, 1842. Tullycolive is in the Parish of Muckno, Co. Monaghan. Mrs. William BROWNE. Album #4 at Gilford. John EASTWOOD of Castletown, Co. Louth. John BROWN father of aforementioned William and John. Alexander BROWN of Cloghogh. Several generations later, an Alexander BROWNE shows up in Griffiths Valuations as owning land at Cloghogh. James EASTWOOD of Castletown, Co. Louth. A Rev. James EASTWOOD was a large landholder in the region. Alexander DONALDSON of Cloghog, farmer. There are many men who might fit this description and few who can be totally ruled out at this stage. I suspect this should be Owen CARRAGHER I will order the deed. In the 1766 Census of Creggan, he lived at Liscalgot – as did George JACKSON (1718-1782), the great-great-grandfather of Sir Thomas JACKSON. Owen CARRAGHER. In 1822, a will was probated at Clogher for an Owen CARRAGHER of Killybolley. An abstract may be available. I would assume the date of the Deeds Registry would tie into this. A tombstone in Casteltown Graveyard has a record of: CARRAGHER IHS Erected by Michael Carragher of Clanbrazil Street Dundalk in memory of his wife Mary Carragher who departed this life October 6th 1839 aged 61 years. In 1824, a number of CARAGHERs lived at Cullaville, including an Owen and a Patrick CARAGHER. One of the famous highwaymen of the region was Big Charlie CARAGHER (a ballad was penned to his fame). SOURCE: http://www.cregganhistory.co.uk/timelinecullyhannabig.htm SEE also reference in Thompson BROWN notes: Copy Lease dated 19th April 1805. Joseph DONALDSON of Clough, Farmer. Cornelius BROWNE of Tullycolive, Parish of Muckno, Co. Monaghan. He held a lease for Tullycolive in 1830 from Lord BLAYNEY (SOURCE: Freeholders Imp. Reporter). Note: In a latter generation, a Cornelius BROWNE shows up in Freeduff Register as born March 1843, son of William BROWN of Tullycollive & Margaret WYLIE. Also, a John BROWN of Tullycollive was ordained May 19, 1849 (SOURCE: Freeduff Parish Register).